Science has finally caught up with antiquity and is now proving that your gut is foundational to just about every other aspect of your body. If you're suffering from an autoimmune disorder, there's a very good chance that it has at least a microbiome component to it - even if you're not showing any digestive symptoms. If you're following a wholesome nutrition plan and are still experiencing health issues, leaky gut syndrome may be the underlying problem. Keep reading to understand how this gut condition can trigger inflammation in your body and wreak serious havoc on your health. When the line of your intestine is damaged, food particles and bacterial endotoxins known as LPS (or lipopolysaccharides) that your body hasn’t yet digested pass through your gut lining. This leads to systemic inflammation throughout your entire body. In function medicine, it’s believed that leaky gut syndrome is a precondition for all autoimmune conditions as well as a number of other health problems! So what can you do to heal your leaky gut to prevent inflammation that can lead to autoimmune disease and other serious conditions? 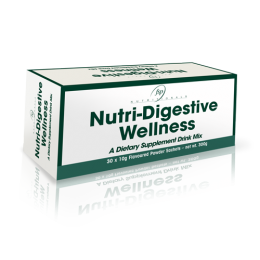 You have nothing to lose except your digestion problems when you try Nutri-Digestive Wellness. 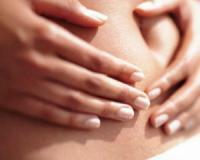 Do you suffer from cramps, bloating, gas, constipation, diarrhea or other embarrassing digestive problems? Repair your digestive system today and you could restore your health completely! Keeping your diet clean is your best bet. Eliminate inflammatory and immunoreactive foods such as sugar, gluten and unhealthy fats. It will be a great start! However, there’s a good chance that years of eating badly in the past, taking medications or simply living in a toxic modern world caould have caused you food sensitivities and intolerances. When the inflammatory-immune response has been triggered and your gut is severely damaged, your immune system stops reacting to even the healthiest, most nutritious foods. Even superfoods like kale and bone broth can be a source of inflammation in some people! If you think you may have food intolerances, going on an elimination diet or getting functional medicine lab tests done will help you uncover them so that you can start eating your way to optimal gut health. Jungle discovery for pain shocks researchers!